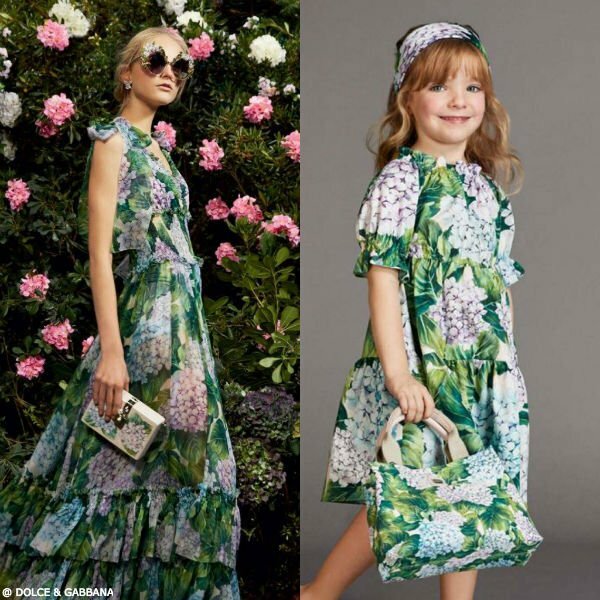 Love this illustrated hydrangea printed cotton dress by Dolce & Gabbana Girls from the Ortensia Women's Collection from Fall / Winter 2017. 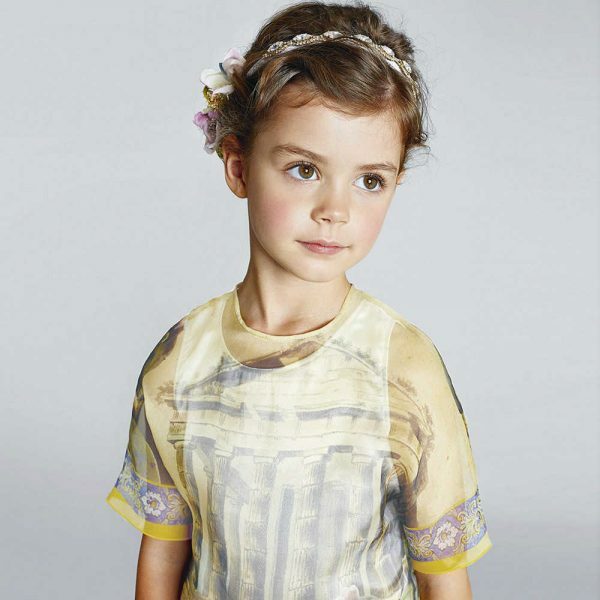 She'll look stunning wearing this gorgeous mini-me design tht brings the senses alive with the scent of fresh flowers. A special touch is that the neckline is elasticated and can be worn off-the-shoulder. Complete the mini me look with a sophisticated DOLCE & GABBANA Girls 'Ortensia' Canvas Bag with an illustrated hydrangea printed canvas that evokes the scent of fresh flowers and matching Ortensia print ballet shoes.